1 Celestar Ballista – an enormous heavy bolt thrower, serviced by 2 Sacristan Engineers who defend their war machine with sigmarite blades. A 10-strong Chainrasp Horde: each armed with a malignant weapon – axes, swords, and flails feature heavily here – this frightening force is led by a Dreadwarden, who wields a 3-pronged candelabra. Realms of War – a detailed guide to the Warhammer Age of Sigmar setting, with background on each of the 8 Realms and details of the events that have set in motion the Soul Wars which are blighting each Realm. 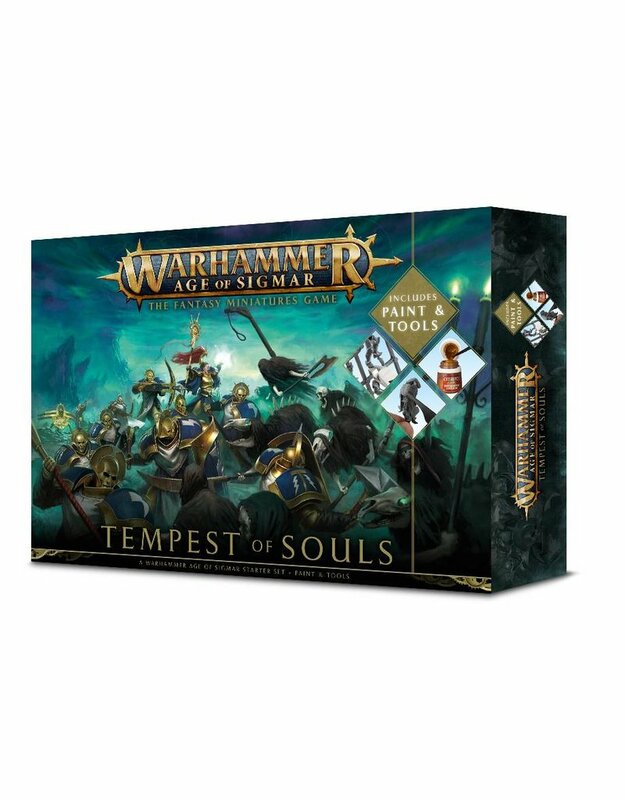 This includes an explanatory guide to the Stormhosts of the Stormcast Eternals; each of these is its own army with distinct uniforms, tactics and background, as well as the story of the Nighthaunt, the vanguard of Nagash’s horrifyingly large undead army.